Karen - An excellent review! I'm excited that I will finally get to read this first Konrad Sejer novel :-). Yes, a very good review. I'm looking forward to reading this: as you write, there was more detail about Sejer in the earlier books than in the later ones. Karen, Thank you for such a thoughtful review. 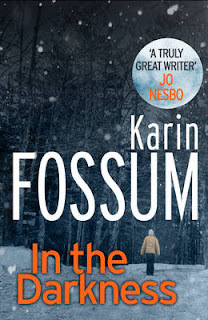 I originally heard of Karin Fossum on this website and I am excited to learn about this original book. I had wondered what and where it was. I hope I can find it in the US.